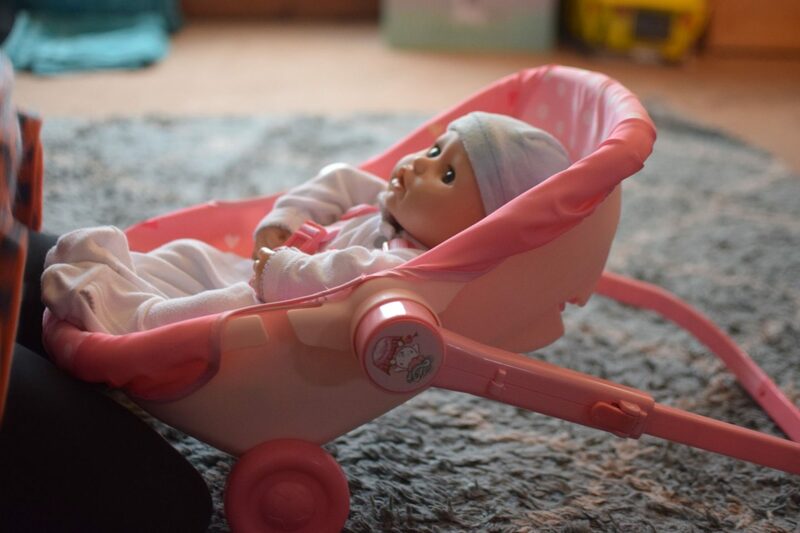 We were sent the Baby Annabell Travel Comfort Seat with Wheels for purposes of this review. 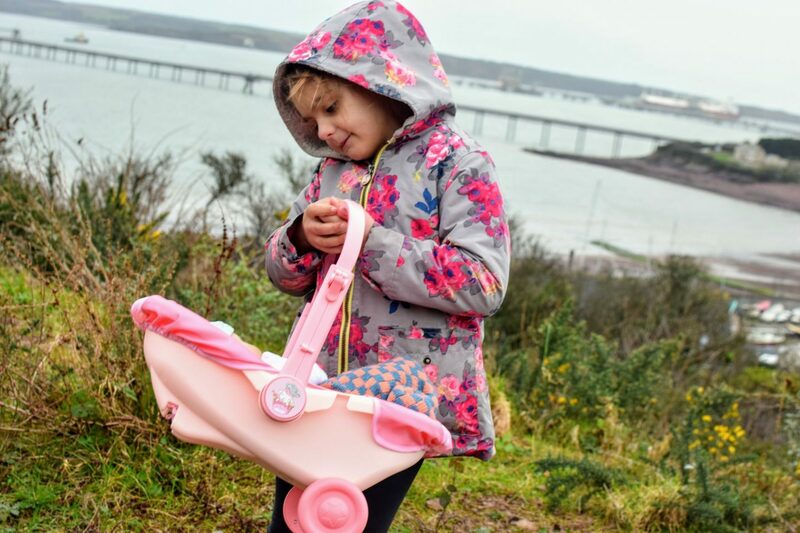 The Travel Comfort Seat can be used as a car seat which is great for taking your Baby Annabell with you on car journeys. 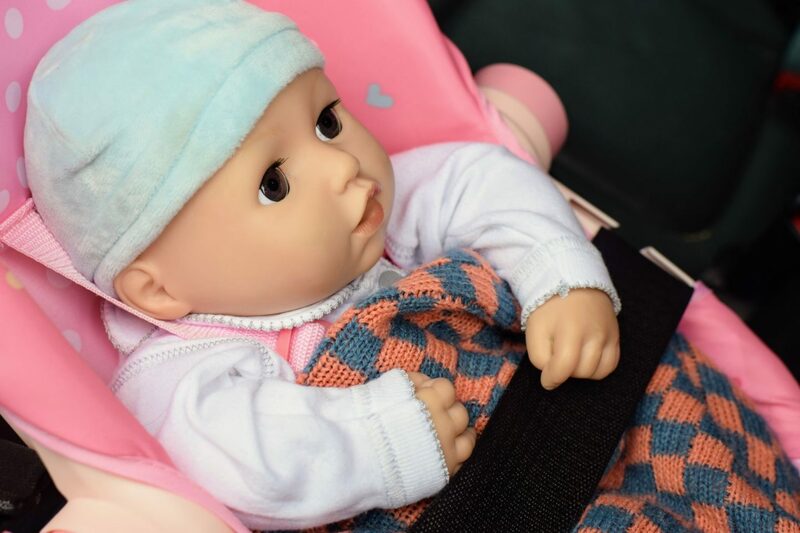 Baby Annabell is secure and comfortable in her car seat using the safety straps (press on each side button to release the straps rather than the centre button). There is also a strap system to secure the car seat safely in the car. Izzy felt so grown up and responsible plugging Baby Annabell into her own seat belt. Those of us who have used car seats realise that they can be heavy to carry- especially as the baby inside grows! Thankfully this Travel Comfort Seat has wheels and can easily be rolled along-if only my past baby car seats had this function! 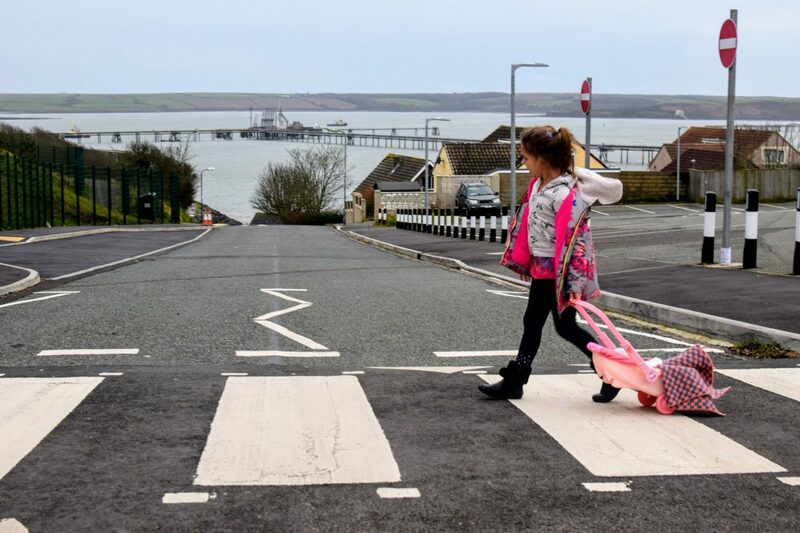 This function is really handy when taking Baby Annabell from the car into the shops or back home. 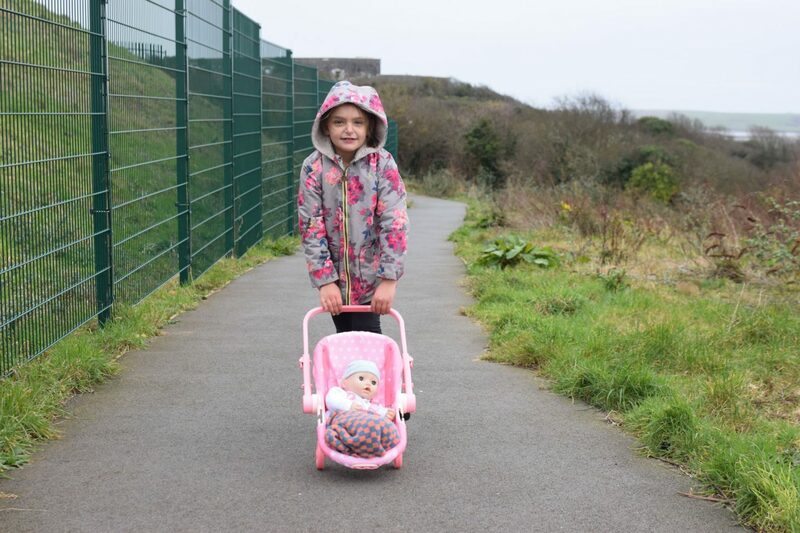 It rolls along so well that Isabelle wanted to take Baby Annabell out for a walk in her travel comfort seat as it can double as a stroller- just remember not to let go of the handle as there are no back wheels. 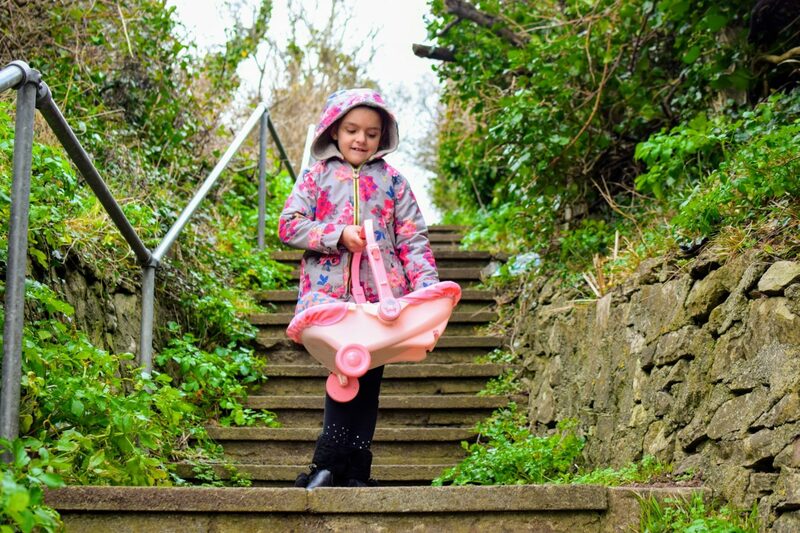 This travel comfort seat is quite nifty for short walks as you can easily pick it up again as a car seat when you get to steps and obstacles. The handle can be short for carrying and long for pushing and pulling. Just open up the tabs on the side then pull or push the handle into position. 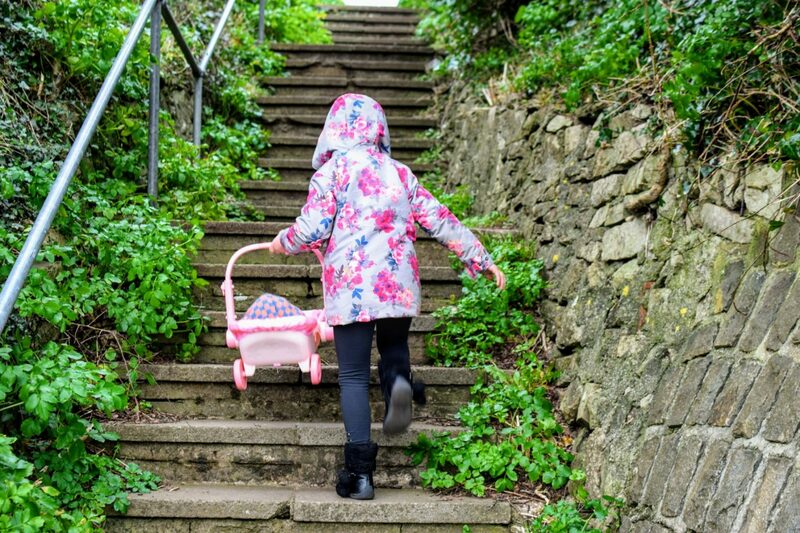 These are quite stiff at first so you may need to help your child but they do loosen up over time. Once in position close the tabs to lock into place. The Travel Comfort Seat can also be used as a baby seat. Just lower the handle until it acts as a support for the car seat. 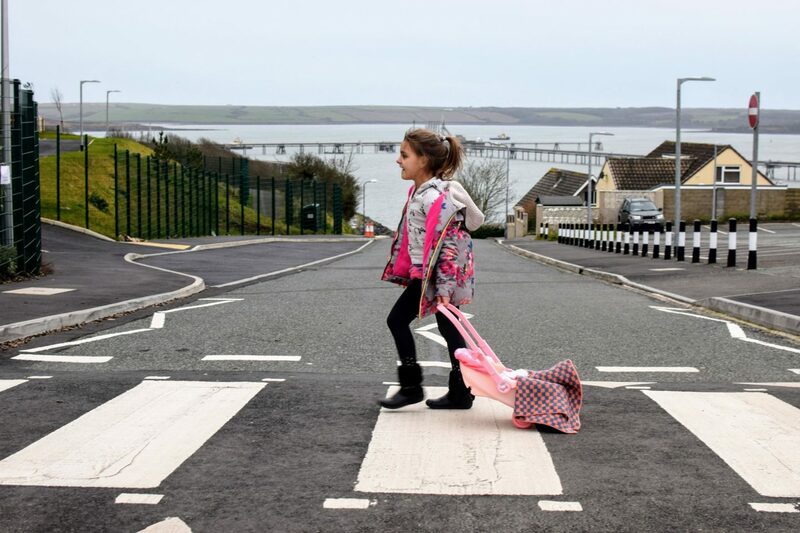 This means it can always be in use and not only needed for car journeys. It’s a handy seat to put Baby Annabell in to watch the world go by or to join in activities with your child- it’s so useful! I’m often being asked to baby sit Baby Annabell for Izzy so now I can put her in this seat and have my hands free while still babysitting! 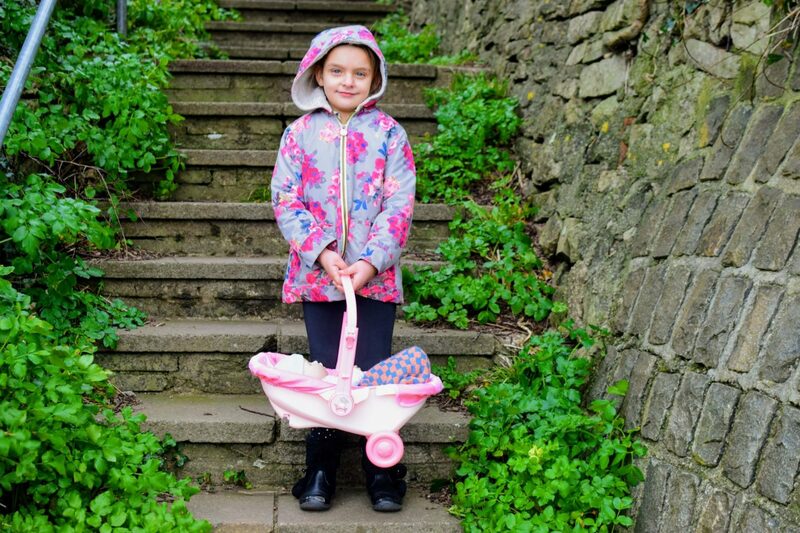 Baby Annabell loves her new Travel Comfort Seat with Wheels but she still likes to come out for a cuddle, of course! The Baby Annabell Travel Comfort Seat with Wheels arrives all set up – just add the clip on wheels. It requires no batteries and has three uses- as a car seat, pull along and a static baby seat. 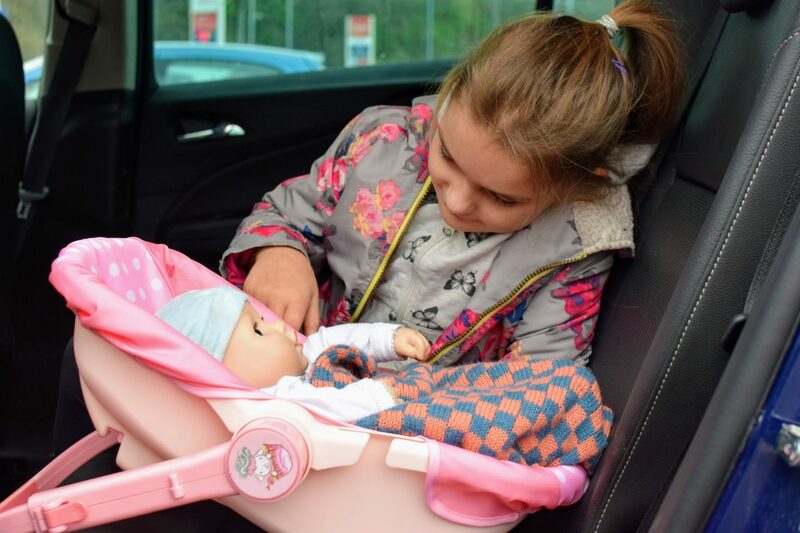 It’s both fun and educational for your child to role play as a parent/car giver learning how to put their doll baby safely in the car. We would love the Baby Annabell accessories to be in a wider range of modern colours. 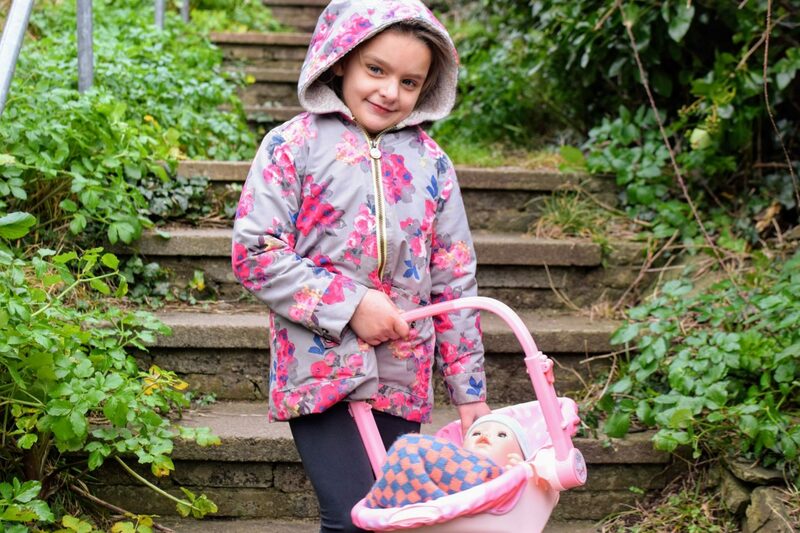 The Baby Annabell Travel Comfort Seat with Wheels retails from £19.99 and can be bought in good toy shops and John Lewis and Amazon online. 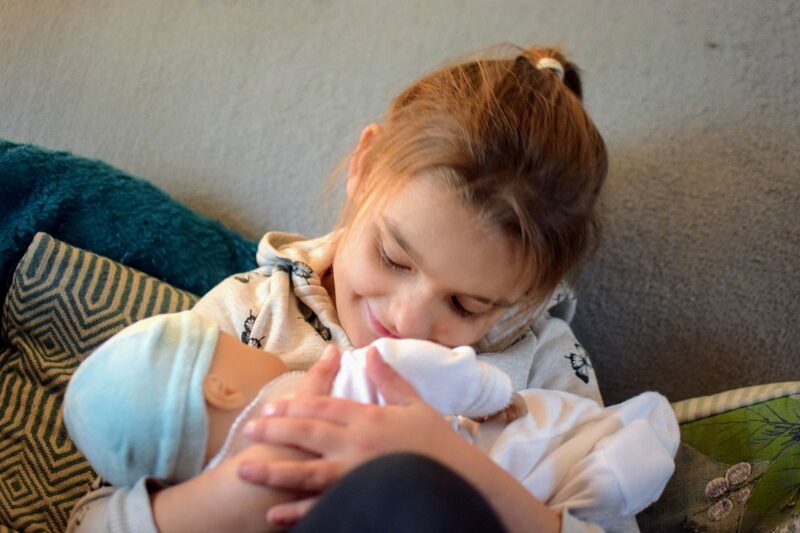 (Our Baby Annabell is wearing our own old baby clothes as Izzy loves to keep changing her dolls outfits ). We were sent the Baby Annabell Travel Comfort Seat for purposes of this review. What a super product. I don’t normally buy anything pink for the girls but this is so thoughtfully designed and attractive that I would happily make an exception.